Includes the names: Tracy Kidder, Tracy Ridder, ed. Tracy Kidder, Tracy Kidder ed. 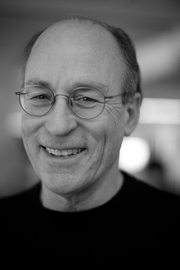 Join host Jay Jacoby for a discussion of Mountains Beyond Mountains By Tracy Kidder. Good prose is a book about writing, and a book about friendship. Writer Tracy Kidder and editor Richard Todd talk about their decades-long working relationship, and about what constitutes Good prose, with examples drawn from contemporary nonfiction. Elegantly written, Good prose makes absorbing reading for anyone interested in writing, and in the genre of literary nonfiction. This event will be held at Edwards Church, 297 Main Street, Northampton. Tracy Kidder gives us the story of one man’s inspiring American journey and of the ordinary people who helped him, providing brilliant testament to the power of second chances. Deo arrives in the United States from Burundi in search of a new life. Having survived a civil war and genocide, he lands at JFK airport with two hundred dollars, no English, and no contacts. Tracy Kidder reads from Strength in What Remains. Tracy Kidder , Strength in What Remains. Tracy Kidder's book Strength In What Remains was available from LibraryThing Early Reviewers. Tracy Kidder is currently considered a "single author." If one or more works are by a distinct, homonymous authors, go ahead and split the author. Tracy Kidder is composed of 5 names. You can examine and separate out names.